The president of Honduras will travel to Israel later this month and accompany a torch-lighter at the opening ceremony on the Jewish state’s 70th anniversary of independence, marking the first time a foreign state leader has been granted that honor. Newly re-elected Juan Orlando Hernandez, who has led a pro-Israel government since first elected in 2014, has confirmed his attendance in the April 18 event, Culture Minister Miri Regev said Thursday. 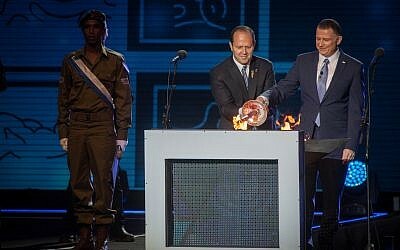 The presence of a foreign head of state at the annual eve of Independence Day torch-lighting ceremony on Mount Herzl will, according to protocol rules, require Prime Minister Benjamin Netanyahu to also participate in the official state ceremony, Hebrew-language news site Ynet said. That could resolve an ongoing feud between Netanyahu and Knesset Speaker Yuli Edelstein, who has been vehemently opposed to the premier’s intention to break from decades of tradition according to which the Knesset speaker is the most senior official at the event. 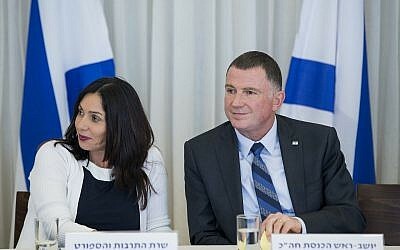 Edelstein has threatened to boycott the event if Netanyahu attends, and has been repeatedly slammed by Regev for his stance. Hernandez began his diplomatic career in 1992 in an Israeli Foreign Ministry Mashav (Agency for International Development Cooperation) course. Regev said that Hernandez will stand alongside a representative from Mashav, which is being honored this year, when the representative lights the torch. Mashav has trained almost 300,000 people from some 140 countries in its diplomatic and aid-related education programs in various fields such as agriculture and medicine. In February, Honduras was one of only eight countries that opposed a UN General Assembly resolution condemning US President Donald Trump’s December recognition of Jerusalem as Israel’s capital, along with Guatemala, Israel, the Marshall Islands, Micronesia, Nauru, Palau and Togo. The US ambassador to the United Nations, Nikki Haley, heaped praise on Honduras for its UN vote during a visit this month, saying it showed the two countries’ bonds were evident. “That was not an easy decision for any country to have to vote on, but the people of Honduras stood with us in being able to make that decision for ourselves and decide where we want our embassy and to know that is our right,” Haley said in a joint news conference with Hernandez. 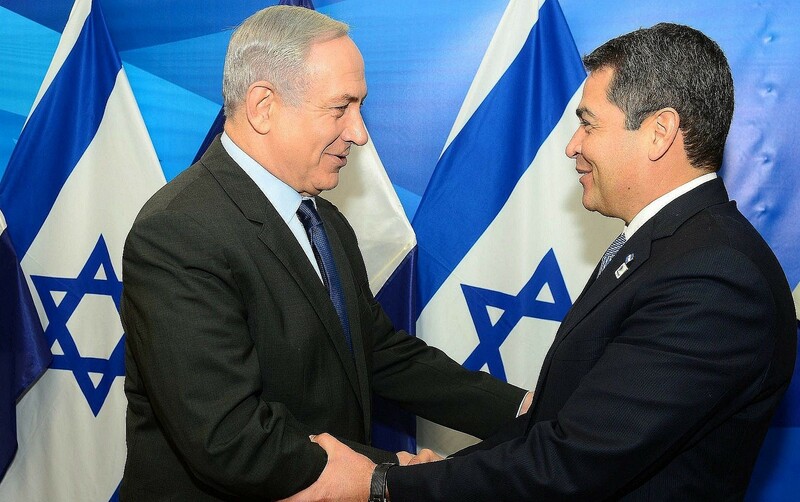 A senior Israeli diplomatic source was quoted last month by Army Radio as saying Honduras was ready “in principle” to move its embassy to Jerusalem, provided that Netanyahu first makes an official visit to Honduras. Trump bucked decades of US foreign policy with his December 6 recognition of Jerusalem as Israel’s capital and setting in motion of plans to move the US embassy there from Tel Aviv. In February the US administration announced that it would open its Jerusalem embassy in May 2018 to coincide with the 70th anniversary of Israel’s independence according to the Gregorian calendar, several weeks after the Jewish calendar anniversary. Trump’s decision, welcomed by Israel, has been condemned by many leaders and foreign ministers across the world, who have said the city’s status should be determined through negotiations between Israel and the Palestinians. The move enraged the Palestinians, who have since boycotted the US administration and staged many protests against the decision, some of them violent. Raphael Ahren and Times of Israel staff contributed to this report.